So you’re a pastor. You might be interested to know that the Schleitheim Confession, an early Anabaptist creed, specified that the first duty of the pastoral office “shall be to read.” The Anabaptists were right. Nearly everything a pastor does in shepherding the flock—preaching, instructing, encouraging, admonishing, counseling—depends upon his growth through reading. That remains as true today as it was in 1527. As a pastor, you need to have a profound grasp of the Scriptures. That kind of grasp comes only by repeated and detailed reading. A man who is not reading the Bible habitually is not equipped to pastor effectively. In fact, you ought to be reading the Bible at least two ways at once. One way is to read through the entire biblical text fairly rapidly, covering chapters each day. The other way is to study particular texts in detail, probably coordinated with your weekly preaching. But you ought to read more than the Bible. You need to read materials that directly provide you with information and skills for ministry. You also need to read works that will improve you as a human being, helping you to become more thoughtful, knowledgeable, and interesting. Most pastors know that they ought to read, but they don’t know what an effective reading program looks like. They need a method or plan that will help to guide them. I want to focus on just one part of that method, namely, a plan for reading books. You should have goals in reading, just as you should in every area of ministry. 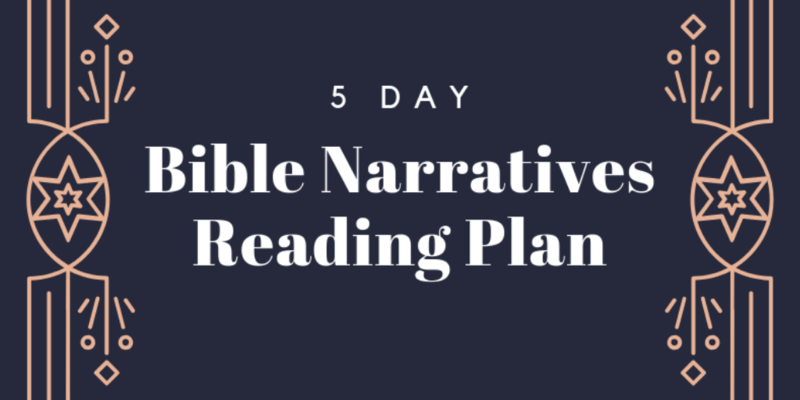 Tracking progress toward a goal can help you to balance reading with other pastoral duties. An average pastor with a college and seminary education can comfortably complete about one ordinary book every week. By “ordinary book” I mean a book written in non-technical, discursive prose, with average page and print size, running about 250 pages. Some books can be read faster, some slower. Some books are longer, some shorter. Some pastors sprint through books like cheetahs after antelope, while others just lope along. But every pastor should be able to read a book per week. If that seems challenging, then a few tips might help. First, force yourself to read rapidly. You can almost certainly read more quickly than you already do, and rapid reading is a skill that can be learned. Second, set aside blocs of time for reading. As a pastor, I would do much of my reading on Mondays, and then take a different day off when I felt less drained. Third, always have a book with you to read in odd moments. You can read in the airport until your flight boards. You can read at the mall while you’re waiting for your wife to come out of the shoe store. You can read while you’re stopped by a train crossing the road. Fourth, choose to read instead of getting trapped in time sinks like television, social media, or computer games. Fifth, join a reading group. Start one if you need to. What should you read? Since you work directly with Scripture, a good bit of your reading will obviously focus upon biblical studies. You will read commentaries as part of your sermon preparation. You should also read works dealing with biblical history, Bible backgrounds, archaeology, biblical theology, and critical issues. Furthermore, you should read systematic theology regularly. Ernest Pickering used to recommend that pastors read fifty pages of theology every week. That would only be ten pages a day. Three or four years of this kind of reading will help a young pastor prepare for his ordination council, particularly if he keeps his doctrinal statement open on his computer screen while he reads. Works of philosophy should also be part of your regular reading—especially if the word philosophy is understood rather broadly. Philosophy includes not only metaphysics, epistemology, and logic (though pastors should have more than a passing acquaintance with these disciplines), but also esthetics (the study of the nature of beauty and, more broadly, art) and ethics. These days it arguably includes hermeneutics. Philosophy of religion and its cousin, apologetics, also comes under this rubric. A grasp of history is important for many reasons, and especially for understanding how Christianity has developed and spread. Of course you should read history, and not only church history. Political history, social history, intellectual history, and biography should be a regular part of your reading cycle. Some of your reading ought to help you improve your gifts for ministry. In seminary you probably read lots of books on administration, counseling, preaching, evangelism, and other areas of pastoral labor. You ought to keep on reading those books as long as you hope to become more skillful. As a pastor, you are a communicator. In your preaching and teaching you should aim not only to impart information but also to shape affection. To reach the affections you must pass through the gate of imagination. You must be a sufficiently competent student of the imagination to distinguish legitimate from manipulative appeals. Consequently, you will be well served to study works of imagination, which means that you ought to read a certain amount of poetry and belletristic literature. You should pay special attention to those who have used storytelling to communicate Christian ideas and sensibilities. Authors like MacDonald, Chesterton, Lewis, and Tolkien deserve whole shelves in your library. Do not neglect your own devotional life in your reading. Some works you should read, not because they help you to know more about God, but because they help you to love God better. As a pastor, part of your job is to confront, correct, and encourage others. You also need to be confronting, correcting, and encouraging yourself, and the right kind of reading will help you do that. Finally, you ought to read widely. Part of your planned reading ought to include books that fit none of the above categories. You should read books of math and science, books on sailing and aviation, books about hunting, art criticism, home repair, and automotive maintenance. You should aim to be able to converse intelligently on as many topics as possible. How will you stay on track with such a variety of reading? You will almost certainly need to keep a log of what you have read. You can list your reading in a notebook or journal, keeping track of the number of books and pages you are reading. You should also keep track of the categories from which your reading comes. If you see that you are neglecting a category, you’ll know that you need to do your next reading there. I’m always surprised when I meet pastors who read only a book or two each year. I wonder what their congregations must be hearing from their pulpits. So, you’re a pastor? Read. A burning fever in my heart. With folly, fear and shame. If I watch 5 movies per week, can that count as one book? Until reading this article, my church missions budget was going to subsidize the Veggie Tales Sem-Smash, a seminary level education delivered in memorable sound-bites. Maybe now we can just wait for the print version.